Home General Filmmaking 4K? 1080p? What does it all mean? 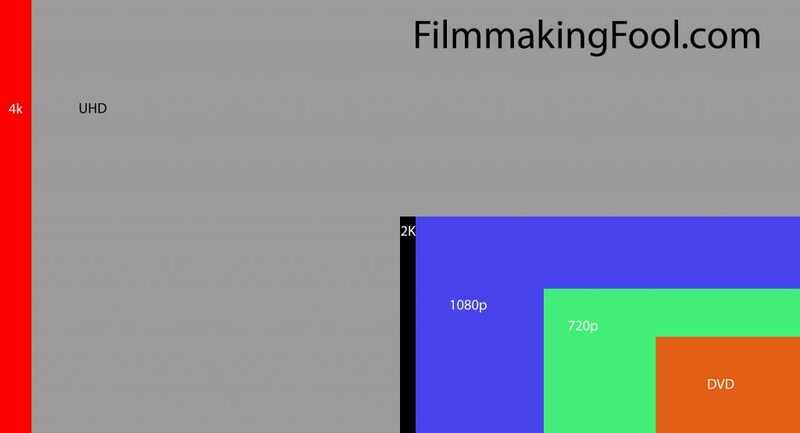 One of the most confusing basics of modern digital filmmaking is frame resolution. A digital frame is made up of tiny squares called pixels. Each of these squares displays a single color. Imagine you have an image of a cat displayed on your computer screen such that it fills your screen. Regardless of the resolution of the image (or how many pixels it has), it will be the same size on the display to you. So, if you have more pixels, each pixel will appear smaller on the screen and you will be able to more densely pack subtle differences in shape and color. The more pixels you have, the denser they will appear on your display. 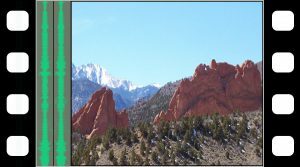 The image above shows a right side with large pixels (low resolution) and a left side with small pixels (high resolution). The difference should be clear. At some point though, your eyes will no longer be able to distinguish pixels packed in any closer. You can increase resolution and you can add more and more pixels, but no one will be able to tell the difference unless the image is blown up. 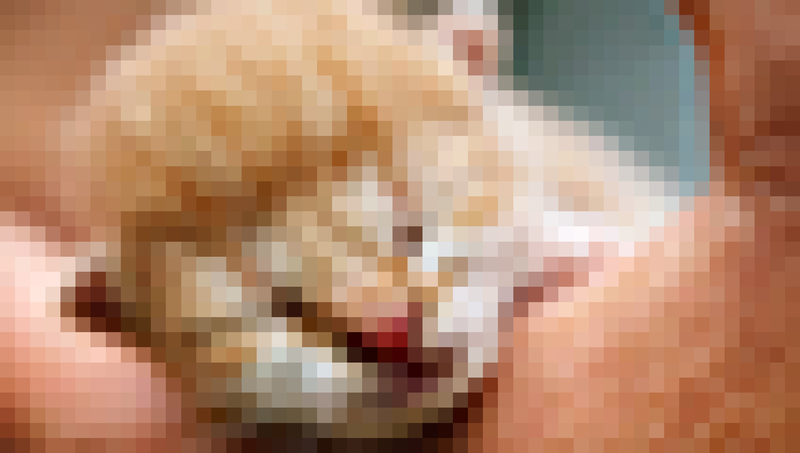 Below is a series of the same cat image at different resolutions. Because it is shown relatively small on your screen, you will see that as resolution decreases (the number before the p goes down), it may take a while before you notice it looking worse. 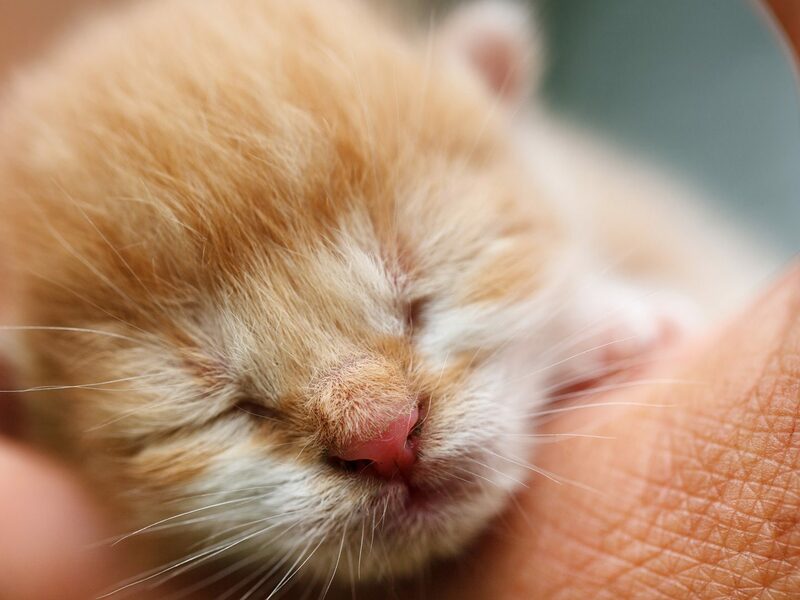 Look closely at the hair above the nose to spot differences. After you examine the kitten, we’ll get to what that ‘p’ thing is! 30p without smoothing. You can actually count the number of pixels in a row or column. I have presented the images with smoothing because it is more realistically how video is displayed in almost all cases and it somewhat reduces the perceptual impact of lowering resolution of an image. Okay, above, with the smoothing, you may not even really see big differences until below 480p (this all depends on your display). So what is this p business? Each image is a set of pixels. It is a certain number of pixels wide x a certain number of pixels tall. When you see #p, the # before the p indicates the number of pixels that the image is tall. This height value came into being based on display standards in which lines were refreshed across on televisions. So, 1080p means your televsion would have to refresh 1080 lines to display your image. The “p” actually refers to progressive, which is the way that the image is refreshed in order rather than in sets of alternating lines, which would be called “i” for interlaced. We’re not going to cover that extensively, but most shooting and delivery is in progressive formats. The main exception is that a lot of television is still transmitted in interlaced formats (though still often shot progressive). So, for a 1080p image, what is the height? Well, it depends on the aspect ratio, a characteristic that described the relationship between width and height. Most HD cameras shoot at a 16:9 aspect ratio. That is for every 16 pixels wide the image is, it will then be 9 pixels high. So, if 1080p means 1080 pixels tall, the width = 1080 * 16 / 9 = 1920. So 1080p can also be written as 1920 x 1080. 2.35 aspect ratios are also popular. Because everything in filmmaking is confusing, we use decimals here instead of fractions. 2.35 really means 2.35:1 and for equivalency, 16:9 is also sometimes written as 1.78. Aspect ratios are a whole, long, complex topic, so we’re not going to cover them extensively now beyond the above description. Here is a cheat sheet of common aspect ratios and resolutions. But we’re way past 1080p. We shoot 4K now! What does that mean? Again, because filmmakers like confusing standards, if you see resolution described as K instead of P, the number preceding the K means thousands of pixels wide. So, 4K means (approximately) that the image will be 4000 pixels wide. How do we make that into a P number? Well, for one thing, 4K can mean many different things. In one common scenario, which is maybe slightly inaccurate, 4K refers to UHD (ultra high definition) and is a resolution that is twice as wide and twice as tall as 1080p. In other words, it is 3840 x 2160 pixels. While it’s undoubtedly confusing to describe 1920 x 1080 as 1080p and 3840 x 2160 as 4K, it is pretty common. In this case, UHD really means the same thing as 2160p. I very often work with footage that is shot in different resolutions. To give you a simplified sense of how these resolutions relate. A 720p scaled up to 150% its size is a 1080p image. A 1080p image scaled up to 200% its size is a 4K/UHD image. I most often have to deliver files in 1080p. So, if I have shot in 4K/UHD, I have to scale my footage down to 50% its size to fit in a 1080p frame. If I have shot in 720p, I have to scale it up to 150% its size to fit in a 1080p frame. The aspect ratios mentioned above are really home-delivery compromise standards. If you go see digital projection in a movie theater, a “flat”, square-pixel image advertised as 4K has an aspect ratio of 1.85 and a resolution of 3996×2160. A wider image (“scope”) typically has an aspect ratio of 2.39 and a resolution of 4096×1716. When you hear projections are 2K, you might be initially inclined to think that is twice as big as 1080p, however, it’s very nearly the same size. For an aspect ratio of 1.85 (“flat”), the resolution is 1998×1080 and for a “scope” 2.39, the resolution is 2048×858. So, 2K and 1080p are actually very close to the same. Here is an illustration of all of the frame sizes from cinema 4K (our largest example) down to DVD resolution (720×480 [or 480p] for US NTSC format). Above, I noted that 1920×1080 is common HD for a 1.78 aspect ratio and 1920 x 817 is common for a 2.35 aspect ratio. You’ll notice that fewer pixels are used in the wider image. If your camera is natively shooting 1920×1080, that is a waste of image space. Anamorphic video is made by taking a wide image and projecting it onto a less wide image using a special lens. Then, when the image is projected, it’s condensed back down to 2.35 to restore the original image shape. 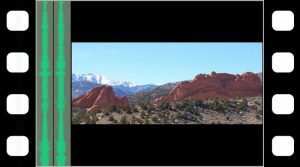 Here is an example of an image projected on to film with a wide aspect ratio using a regular lens and then an anamorphic lens. Notice that the full frame is used in the anamorphic image. When projecting, it will need to be squeezed to restore the proper image. So, now you understand resolution! Even professionals get confused by resolution terminology, so don’t feel bad if it takes a bit to get the hang of it. You also probably noticed that terms like 4K can be used to mean many different things. Such is the world we live in…and why we will forever be filmmaking fools.